Trinidadian Ellie Mannette passed away on August 29, 2018, at the age of 90. He will fondly be remembered as the Stradivarius of Steel. 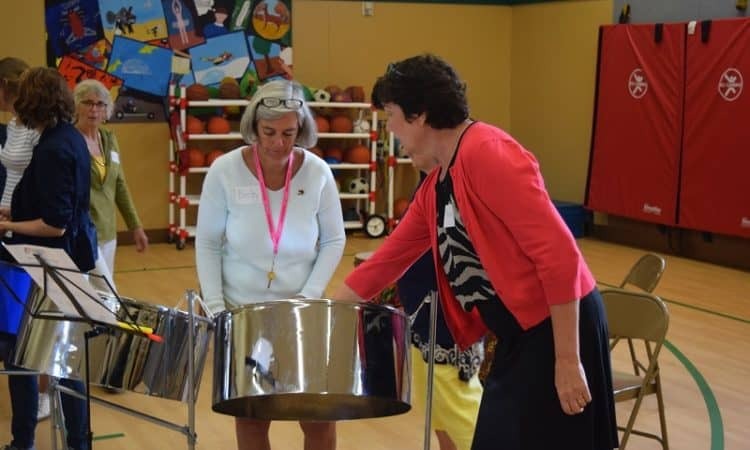 Mannette was an inventor, innovator, master builder, tuner, teacher and ambassador of the modern steel drum. He was the first to “sink” the surface of the drum. 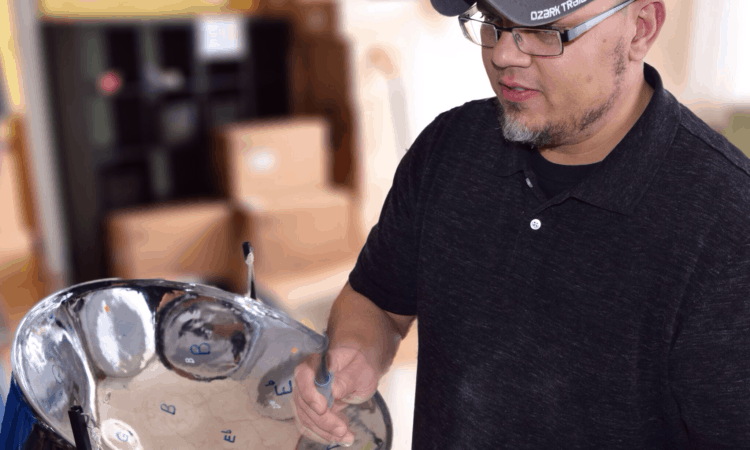 He shaped convex notes onto the concave surface. He called one of his early pans the “Barracuda,” because it was the “baddest” drum in Trinidad. In 1946 Mannette introduced his first 55-gallon oil drum instrument. He was invited to demonstrate this pan on the radio. 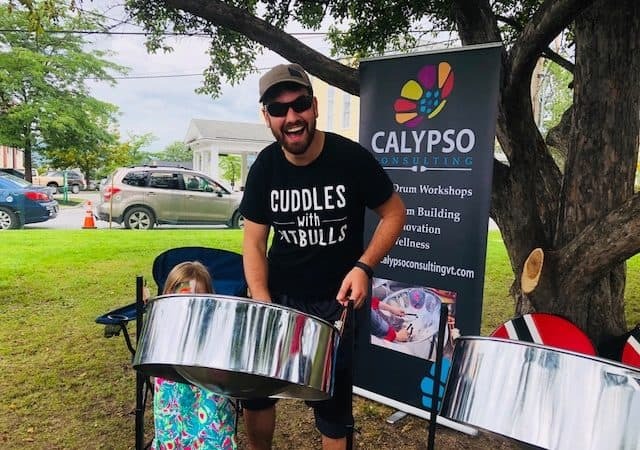 People all across the Caribbean heard the Brahms Lullaby being performed by Ellie Mannette on the first modern steel drum. The picture above is taken at the Festival of Steel. Mannette is on the left. 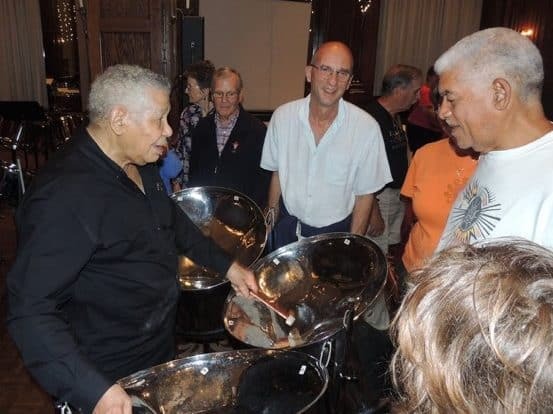 Because of Ellie Mannette’s vision and tireless work to promote the pan as a world class instrument, and because of the superior quality of the tone of his pans, Ellie Mannette will always be remembered as the Stradivarius of Steel.